When the Darfur peacekeeping mission’s mandate was renewed last week by the United Nations and the African Union, the head of UNAMID, Ibrahim Gambari, focused on the need for peacekeepers to work on “early recovery and development” in Sudan’s conflict-plagued western region. Acknowledging that implementation of some provisions of the Doha Document for Peace signed by the Sudanese government and one rebel group was behind schedule, Gambari offered up the simple rationalization that Khartoum’s financial woes were to blame. Furthermore, the rare international media coverage and some U.N. reports have suggested that the conflict has ebbed, in some cases to the point that Darfuris are returning home. But this positive impression dramatically misconstrues the reality on the ground, volatile even as the international bodies met last week. A new Enough Project paper released today challenges the current approach pursued by the United Nations and some key donors to prop up the Doha Document for Peace and push other Darfuri groups to join the accord. These efforts “are not benign but are actually making matters worse,” write Enough’s Omer Ismail and Annette LaRocco. 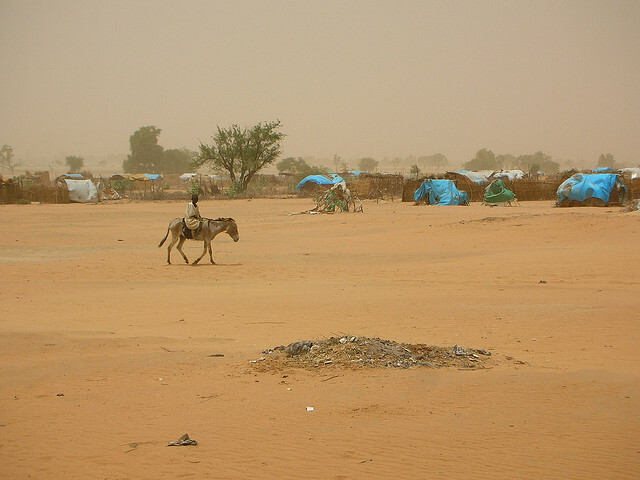 “[T]he government in Khartoum has consistently impeded any meaningful implementation of the agreement, which was already based on a shaky foundation,” Ismail and LaRocco explain, identifying two underlying shortcomings: an operational failure to implement the terms of the agreement and a conceptual failure of trying to address the crisis in Darfur separate from the conflicts in other marginalized regions of Sudan. “Failing Darfur” concludes with a detailed list of recommendations about the essential elements of an alternate peace-making process for Darfur, as part of comprehensive new approach for the country.